Japanese researchers have developed a nanopipette that uses an organic nanotube as its nanochannel and which is estimated to be capable of dispensing volumes of solution of less than 1 femtoliter. 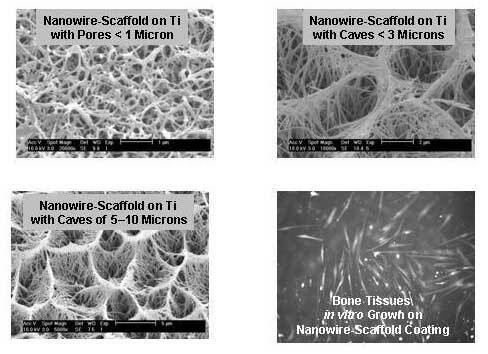 Researchers have found a simple, inexpensive way to create a nanowire coating on the surface of biocompatible titanium that can be used to create more effective surfaces for hip replacement, dental reconstruction and vascular stenting. 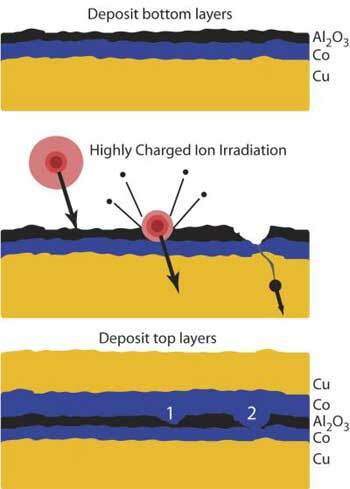 Placing a film of silicon nanoparticles onto a silicon solar cell can boost power, reduce heat and prolong the cellâ? ?s life, researchers now report. In an effort to develop alternative energy sources such as fuel cells and solar fuel from "artificial" photosynthesis, scientists are taking a detailed look at electrons - the particles that set almost all chemical processes in motion. Researchers for the first time image hydrogen peroxide in animals. Scientists have developed tiny, spherical nanogels that uniformly release encapsulated carbohydrate-based drugs. Small nano-based biosensor may get help first to those who need it most. Five renowned chemists and inventors gather today to describe the challenges and opportunities for commercializing new technologies. Nanotech BC has released the final draft of its Nanotechnology Asset Map. This Map is the most comprehensive view of the nanotechnology community in BC to date. The University of Michigan Center for Risk Science and Communication just announced that registration is now open for the 2007 Bernstein Symposium: "Nanotechnology and Health: Evidence and Impact." New findings bode well for using single-walled carbon nanohorns, a particular form of engineered carbon-based nanoparticles, for drug delivery and other commercial applications. Researchers have warned that growing biofuel crops to make eco-friendly car fuel could actually be harmful to the environment.